Dog training commands are widespread and varied. The humble and loyal canine is employed within so many roles that the list of dog training commands is getting lengthier all the time. During competition training particular dog training commands are used. Dogs that carry out specific roles also have their own cue words. Here are some examples of dog training commands used within the English language on a daily basis. Sit, probably the most used command, strangers are not adverse to walking up to any dog and asking for a sit response, and more often than not the dog will perform correctly. Heel, asking the dog to walk at heel both on and off leash. Stay, similar to wait, sometimes used differently dependent on training establishment, the stay is often used for longer term out of sight stays, where the handler can expect the dog to wait for them for several minutes. Come, recall, the command used to call a dog back to his handler and the one that many can struggle with. Off, particularly useful for dogs that are disposed to jumping on people and furniture. Find, another search based command; this is used by tracking dog handlers as well as drugs detection dog handlers. Find body, Search and rescue dog command. The target is referred to as the “body” often in these circles. 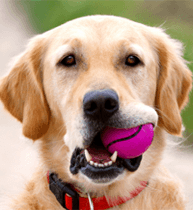 Fetch, Used by physical assistance dog trainers as a prefix to anything from phone, walking stick, coat, food item. Look left/right, reinforcement of the dog looking in a certain direction. 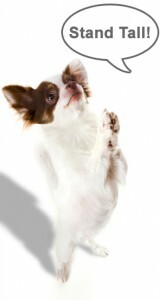 Trick commands are great fun and can be used when reinforcing a broad range of impressive behaviors. You can even teach your dog to respond to dog training commands uniquely in a completely different language. You dog will relate to the tone and pitch of your voice rather than the word itself.